The Norsk O-Festivalen was quite a unique race in comparison to the majority of races that I run in that many aspects were different such as the atmosphere, the number of runners around you, and the fact that my own age category had tough competition for once. The event consisted of the traditional sprint, middle, and long distances spanning over the course of three days. First was the sprint which was very well constructed given the resources that the organizers and course planners had to use. 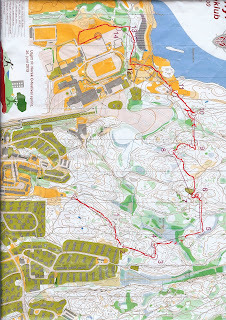 Part of the original building section where the sprint had originally been planned to take place at was under construction, and so the categories that were not elite had to run a forest sprint. The map used for this was generated quite accurately and was very understandable, yet much simpler then the original. The course was relatively easy with about one slightly tougher control which was vaguer and required you to stick vehemently to your compass bearing. Unfortunately I didn't do that and so I ended up losing a minute on that control, and when added to the time lost at others due to small hooks, the result put me in a narrow tenth place. The following day many people ran the very technical middle distance that you could begin after you had gone to the start 1.5 km uphill. The course setting was stellar and as I ran out at my start time to number one, then I forgot about one of the fundamental rules of a middle distance. You have to start slow. So I missed the first control to the right a bit losing a precious 20 seconds right there, and then I continued my bad navigation by not finishing my attack into number two efficiently enough, leaving me to circle into the control twice before I went out to the path to relocate. Unfortunately I was where I had though I was, and so from there I attacked a third time and aimed further behind the long hill with the rock features just to the left and successfully found the control. At this point I had lost 3 minutes on the course and was estimating 4-5 as I did not really know, but I had a difficult time pulling myself back together mentally in order to continue running at my normal race pace, with such a massive time loss so early on in the course. Somehow I was able to continue running normally, and gradually picked up the pace until I was going again at my race pace. The terrain was relatively complicated, but was very runnable and possibly to be going very fast if you simplified each leg accurately and used only the most necessary features. With many cliffs and knolls speed changes were very important so that you do not lose control and consequently lose contact with the map. During the last few control I was rushing the end of the course so I made a number of small hooks that added up to a number of minutes. By the end of the run I was deeply surprised that I had been able to place 11th with such a bad run. Now that I look back it must have been because others made mistakes that were greater than mine. 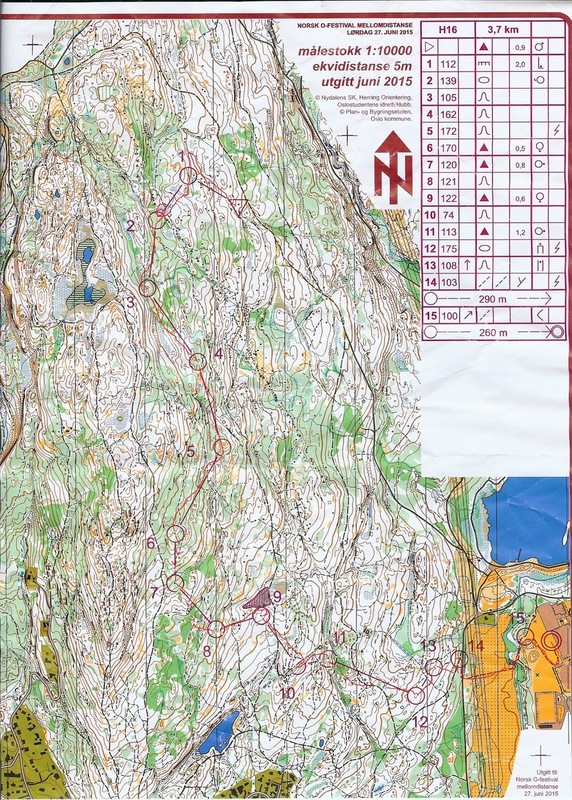 The Long distance was challenging due to the need to orienteer at a relatively fast pace for a long amount of time. My run navigational was sound, but it was not fast enough as I was starting to feel my legs.